A scarce vase. Note the flames. These are the flames found on Target vases, and while this vase has the six ribs of the Target, it has no hobs. Spiralex and Wide Rib vases have eight ribs and very different flames. 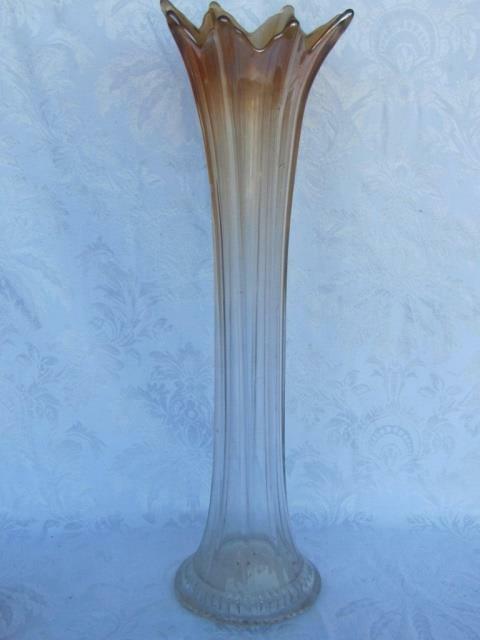 This vase was shown in old ads, designated simply as “1013-R.” This heavy, substantial vase typically has a base diameter of 3.75 inches with a 36-point star and the heights seem to range from around 9 to around 13 inches. 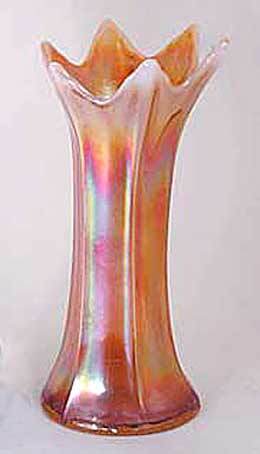 Although produced in several opalescent colors (named 1013), the few carnival examples I've seen have been peach opal. 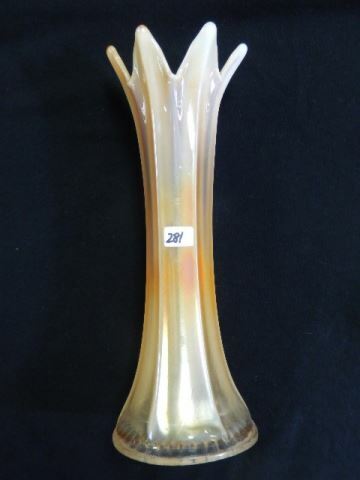 There is a scarce size reported (termed a mid-size, but with the base it qualifies as a funeral vase) that is 19 inches tall with a 5 inch base. This one is in marigold. Picture by Burns Auction Service.